This is a 20′ triple cockpit that I have owned for over 15 years. It is re-powered with a small V-8 engine that pushes it along very nicely. It has cruised lakes and rivers in Texas, Oklahoma, Missouri, Arkansas, Tennessee, Alabama and Florida. This boat was named after an old soft drink that claimed to build up your strength and stamina. An old boxer might say of a young fighter “The kid has a lot of Moxie!”. 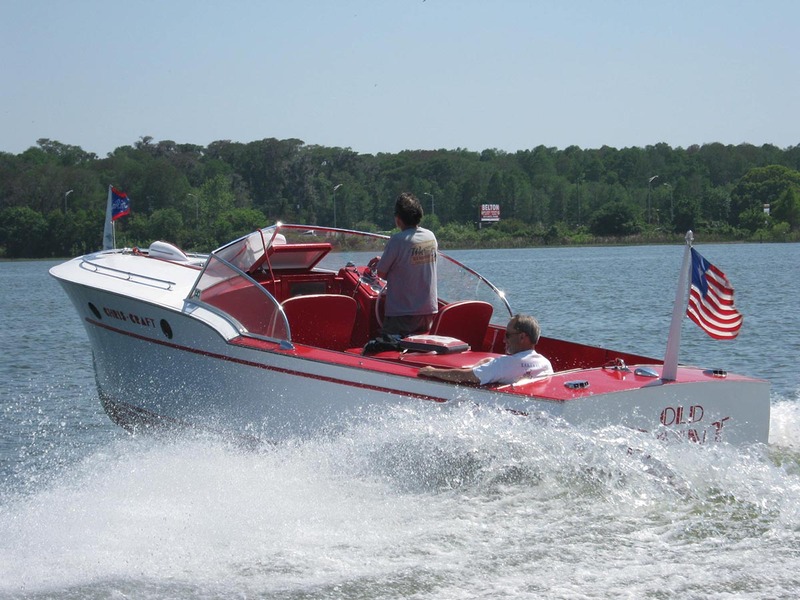 With it’s powerful engine, the boat has a lot of “Moxie”. I bought the boat in rough condition from a vintage car dealer in Oklahoma City. The day I went to pick it up was about two weeks after the Federal Building there was bombed. The force of the explosion had blown out the windows of the dealership and damaged a few cars. My boat, which was stored in a back garage, was not damaged but it really would not have mattered as it needed a total restoration. 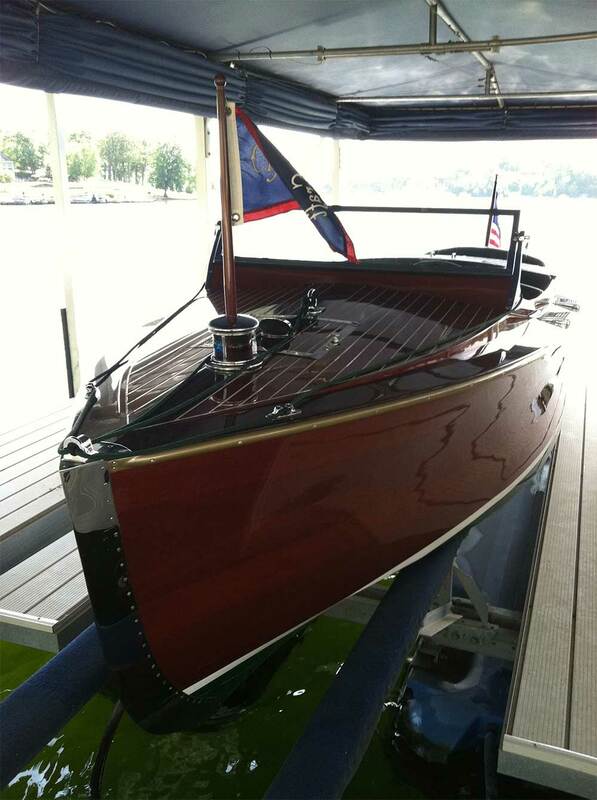 1940 Chris Craft 19′ Custom Barrel Back named Woodwind owned by Buddy & Sherri Butler. I have owned this boat for nearly 25 years. 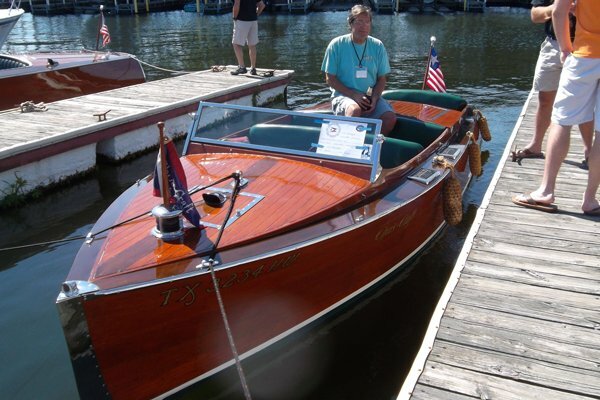 It still has it’s original Chris-Craft “M” engine (130 HP) which has been rebuilt twice. 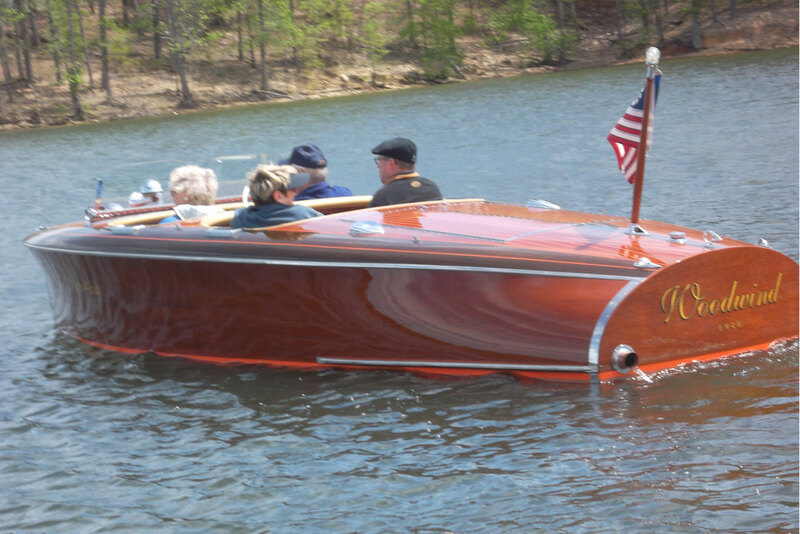 The boat received a new bottom in 2000 and has been featured on the cover of the Chris-Craft Antique Boat Club magazine, The Brass Bell. I was going to name the boat “No Varnish” because there is none but my wife came up with “Old Paint”. That is a reference to the faithful horse in an old cowboy movie that always brought it’s rider home safely. “Old Paint” has cruised several times on the Tennessee River, lakes in Texas, Oklahoma and Missouri and Lake Dora in Florida. 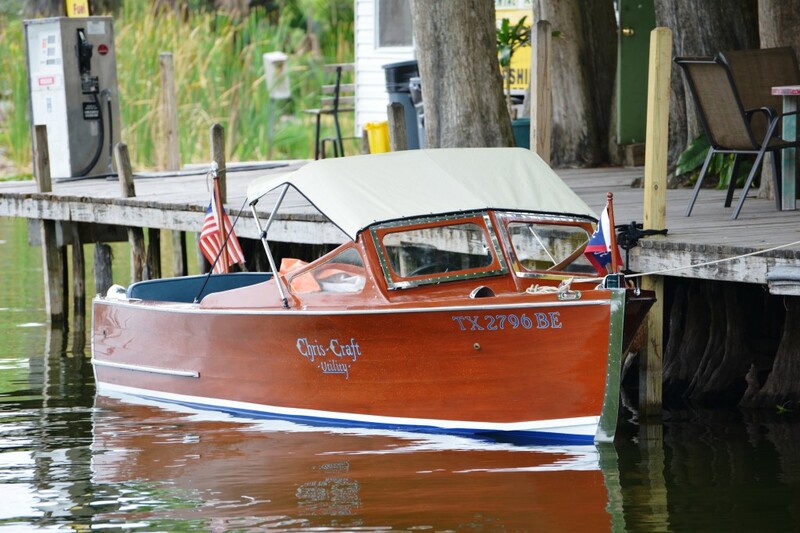 This boat was delivered new to Austin in 1940 and I am the second owner. This is an 18′ model that I found in Massachusetts and shipped to Austin to restore. I have owned it about 4 years. The unique feature of this model is the ventilating windshield. Most boats have solid windshields to keep you out of the wind but in Texas heat, it is nice to have a breeze. The front windows push open as much or as little as desired. I also added a bimini top to add shade or keep you dry in a sudden rainfall. I previously owned an identical model of this boat but I found that the front seat did not have as much room as I wanted so I sold it. It was named “Blue Moon” because of the rarity of the model. After I sold it, I was relating the story to one of our club members and he asked why I didn’t just move the seat back. I set out on a search for another boat and during restoration, I moved the seat back several inches. Now I have “Blue Moon II”. 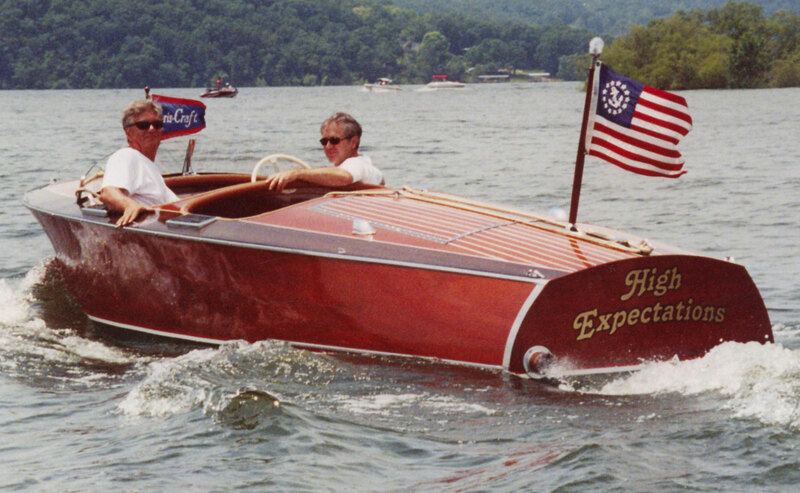 This boat is powered by the original “K” engine (95 HP).